When you need commercial pest control in Bergen County NJ or Rockland County NY, the Bug Runner is standing by to offer the services you need. A pest infestation can be a nightmare for any business owner. We have experience with a wide variety of pests so you can be sure we’re ready to meet your needs. When it comes to pest problems, you want someone who can identify your pest quickly and come up with a plan of action. This is why you need the Bug Runner. When it comes to commercial pest control, one mistake many customers make is using DIY methods, which is never a good idea. It’s important to hire a professional pest exterminator with experience to not only make sure the job is done effectively, but to avoid liability issues as well. At the Bug Runner we have a great deal of experience when it comes to commercial pest control. We offer the comprehensive service you need to ensure thorough pest removal. As a business owner, you might be very conscious of your budget. However, when you consider the damage that pests are capable of or the potential for lost business, it becomes clear that ongoing commercial pest control is a smart investment. Health department fines can be expensive, and it’s easy for pests to damage a business’s reputation in the long term. We offer contracts for our commercial clients that will ensure your pest problems are dealt with quickly and effectively. We also offer preventative services to ensure your pests aren’t attracted to your business in the first place. This will give you the peace of mind you need to focus on running your business instead of worrying about pests. As a leading local pest exterminator, we are firm believers in integrated pest management at the Bug Runner. 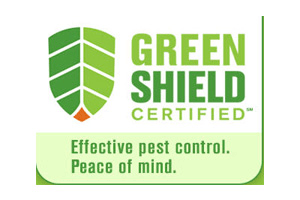 This means that we take a broad approach for dealing with pest issues, not only using chemicals. We can help you make behavioral and environmental changes to your business to ensure that pest issues are minimized in the long term. When you want the very best for your business, give the Bug Runner a call for commercial pest control in Bergen County NJ and Rockland County NY. When you need commercial pest control in Bergen County NJ, the Bug Runner is standing by to offer the services you need. A pest infestation can be a nightmare for any business owner. We have experience with a wide variety of pests so you can be sure we’re ready to meet your needs. When it comes to pest problems, you want someone who can identify your pest quickly and come up with a plan of action. This is why you need the Bug Runner. When it comes to commercial pest control, one mistake many companies make is using DIY methods, which is never a good idea. It’s important to hire a professional pest exterminator with experience to not only make sure the job is done effectively, but to avoid liability issues as well. At the Bug Runner we have a great deal of experience when it comes to commercial pest control. We offer the comprehensive service you need to ensure thorough pest removal.